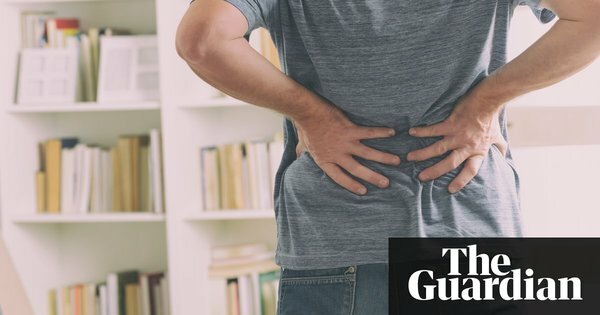 This month, the Lancet published a series of three papers written by a large, international group of experts who came together to raise awareness of the extent of the problem of low back pain and the evidence for recommended treatments. The authors were scathing about the widespread use of “inappropriate tests” and “unnecessary, ineffective and harmful treatments”. The papers tell us low back pain is an “extremely common symptom, experienced by people of all ages”, although it peaks in mid-life and is more common in women than in men. There are 540 million people affected globally at any one time and it is the main cause of disability worldwide. The six-year investigation that began as an attempt to find relief from her own pain and ended up exposing an exploitative, corrupt and evidence-free $100bn industry, is fittingly described in the title of her book: Crooked. The proliferation of unnecessary and risky interventions has been far worse in the US, with its insurance-based healthcare system, than in the NHS. But the UK is far from immune. When a healthcare system functions as a marketplace, there will inevitably be incentives for certain treatments to be pursued over others, for services that can generate a surplus. It is a struggle for patients and clinicians everywhere to resist pain medication that is incredibly effective in the short term, even if it is incredibly harmful in the long term. When I ask Underwood what works, he tells me: “Whatever you do for a patient at a time when their back is really bad, the chances are they’re going to be a lot better three weeks later. So we treat people and we see them getting better and we ascribe their improvement to the treatment we’ve given, but we know that natural improvement over time is always much larger than the positive effect you get from the treatment.” The evidence is strongest for therapist-delivered interventions such as the cognitive behavioural approach, based on the same principles as CBT, exercise treatment and physiotherapy. He has also worked on a trial that showed training physiotherapists to deliver the cognitive behavioural approach in a group, combining movement and reassurance about movement, is helpful to patients and could be delivered in the NHS at low cost.